The hop-on-hop-off (HOHO) bus It’s one of my favorite pastimes. Riding them is such a joy. I was holding off on buying my ticket until I got a better lay-of-the-land. My big question was whether I needed a one-day ticket or a two-day ticket. I had thought I had seen on the web site that I could buy a one-day ticket and get the second day free. Maybe I had been a little tipsy at the time as the local brochure mentioned nothing of the sort and had what I considered to be a higher price point than I was willing to pay for the ticket given the limited number of sites on the tour. I could see $15 or maybe $20 for a ticket, but not $30 or $40. I thought that was a bit much. Had this been New York, Paris, London or Tokyo I wouldn’t have quibbled. But it wasn’t. In the end the ticket price was $22 for a two day ticket if I bought online. Not bad. 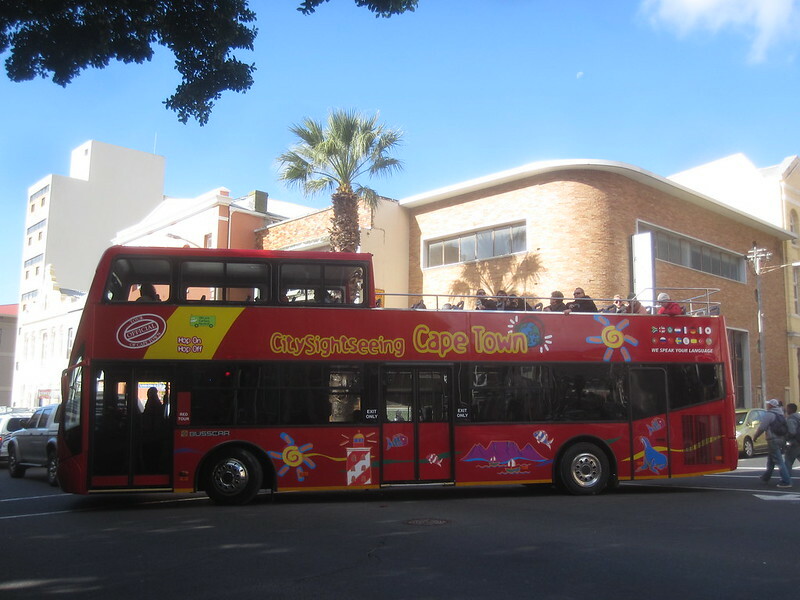 This entry was posted in Travel and tagged Africa, Bus, Cape Town, London, Overland Trip, Tour on July 28, 2012 by Steve. 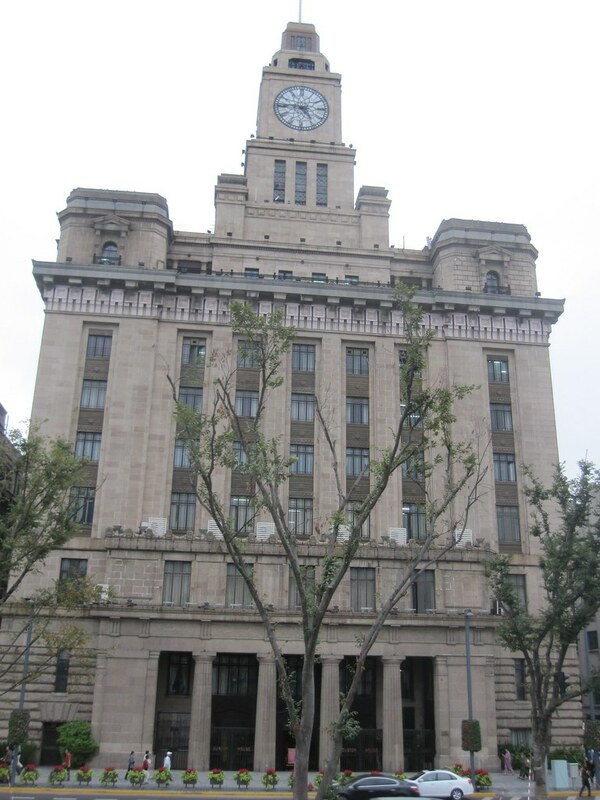 The Shanghai Customs House, built in 1927, is, supposedly, a customs house even today. It is one of the "classical" buildings on The Bund. The clock on the building, modeled after Big Ben in London, is said to be the largest clock in Asia. This entry was posted in Travel and tagged Asia, London, Shanghai on September 27, 2010 by Steve. 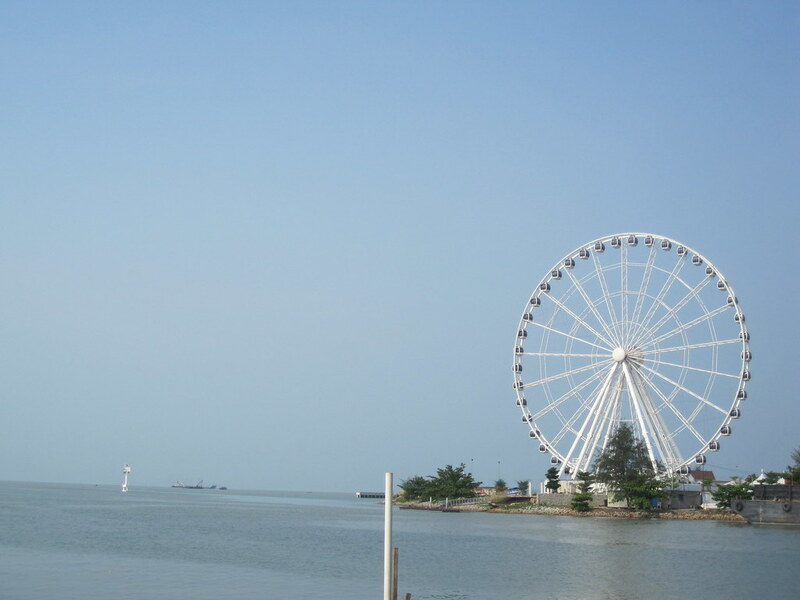 Melaka has an "Eye", somewhat like the ones in Singapore and London. Only smaller. The one in Melaka is in a great location, right on the ocean. This entry was posted in Travel and tagged London, Melaka, Singapore on March 4, 2010 by Steve. 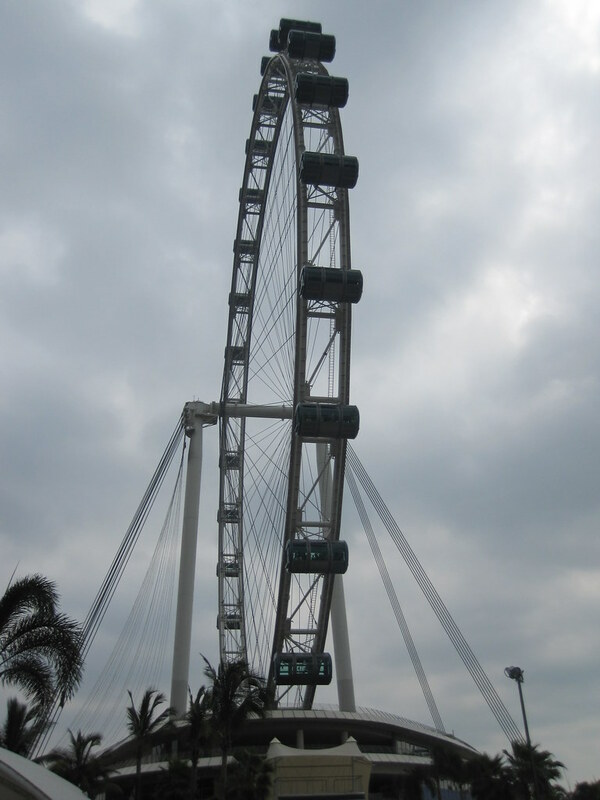 They call it the Singapore Flyer. I heard many of the residents refer to it as The Eye. I think it may be modeled after the London Eye. It’s one of those large machines that have observation platforms attached to them and the go around like a Ferris Wheel. I was told that I could have dinner on the thing for about $200 a couple. That might be a good way for a young man to impress a young woman. Then again, I can think of better ways to spend $200 than to have dinner 450 feet up in the air. I should have taken a ride on the thing, but I’ve been in one very similar to it before. This entry was posted in Travel and tagged London, Singapore on March 1, 2010 by Steve. One day Ethel and I are out driving around in Oklahoma City. She says "Are you hungry?" I say "Sure." We decided we were both hungry for a little bit of Italian food. We figured we’d go to Bella Vista, an Italian restaurant on the south side of OKC. Big mistake. 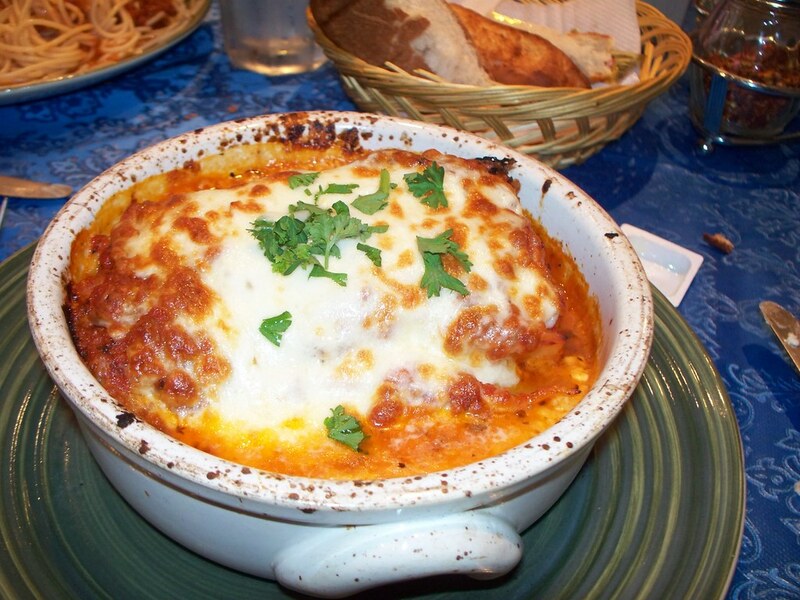 There is nothing little about the servings at Bella Vista. This is a 17 layer lasagna. Incredibly cheesy. The kind of food your cardiologist would tell you to avoid at all costs. Way too good. Fortunately, they have take-home boxes for those of us who don’t make a total pig of ourselves. Dollar-for-dollar, the Bella Vista is the best value in Italian in OKC. Significance? You don’t have to go to Paris or London or Tokyo to get really good food. There’s a reason why Americans are the pudgiest people on the planet. Hint: good, cheap food. This entry was posted in Travel and tagged Ethel, Fortuna, London, My Favorites on October 21, 2009 by Steve. 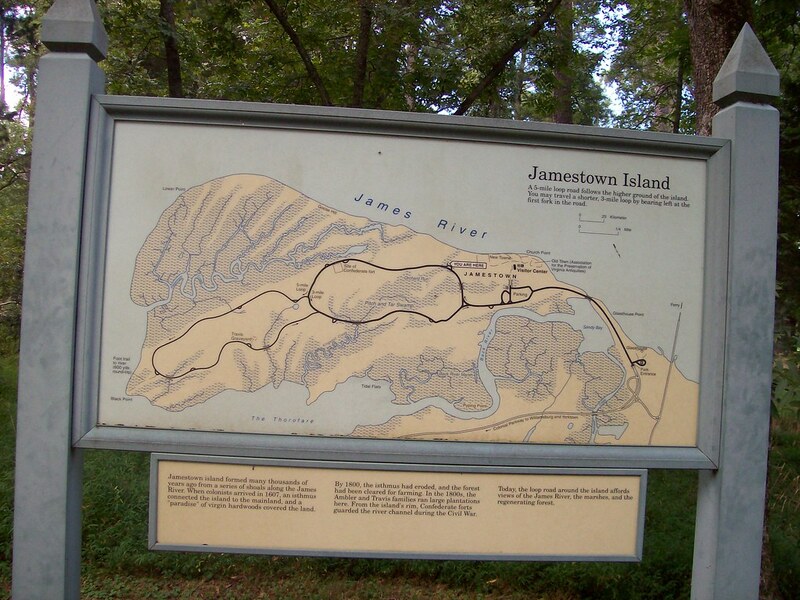 Jamestown settlement, located on Jamestown Island which was in the Virginia Colony, was founded on May 14, 1607. It was originiannly founded It was founded by the London Company, which later became the Virginia Company. Most historians regard Jamestown as the first permanent English settlement in the New World. It followed earlier failed attempts at Roanoke, VA. Today, a National Park site, Historic Jamestowne is located at the original site of the Jamestown colony. Jamestown Settlement is a state-operated living-history museum adjacent to the original site. It takes a full day to tour the island and visit both attractions. Historic? Absolutely. This entry was posted in Travel and tagged London on October 11, 2009 by Steve. It’s Oklahoma. We not only got to play cowboy, we really could be one if we wanted. I had lots of relatives with farms. 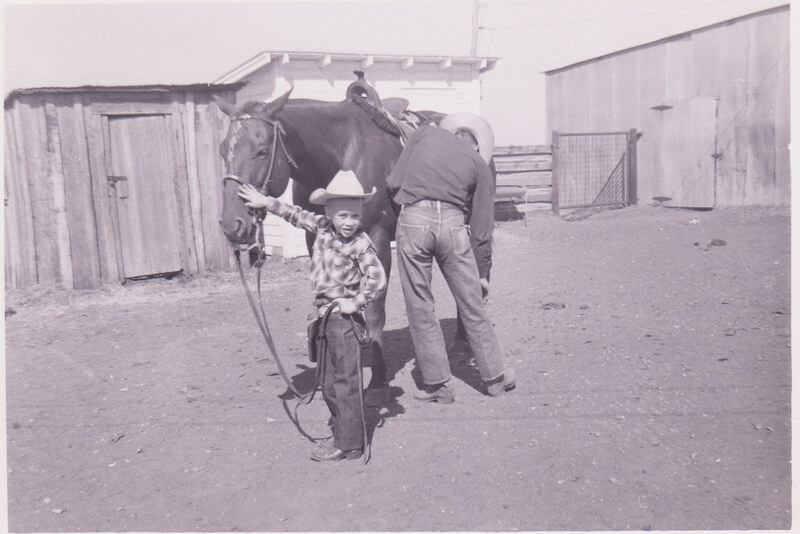 It was pretty common for me to be on a horse before I was an adult. When I was in high school, my folks had a place outside of town where they had horses. My brother had a lot of ribbons and trophies for his horsemanship. I think my mom was more than a little disappointed that I didn’t want to ride bulls for a living. She never really understood me, but that’s okay. I like this photo because it shows a fairly typical scene in the life of a youngster who was raised in rural Oklahoma. Yes, there was a time in my life when I went home from college and rode the tractor into town to pick up the mail from the post office. Even after forty years I still think that’s cool. Significance? Oklahoma isn’t like Boston, L.A., Tokyo, Paris, London, Cairo or Istanbul. We all get what we got, whatever that was. I got Howdy Doody, Captain Kangaroo, Marshal Dillon and John Wayne. Oh, and I got to be a little cowboy. Sometimes. This entry was posted in Travel and tagged Cairo, London, My Favorites on December 24, 2008 by Steve. 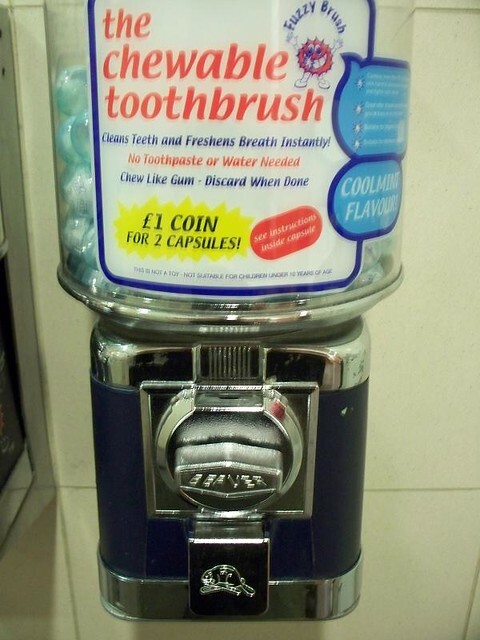 At the London stopover I noticed this nice little machine that dispensed chewable toothbrushes in the toilet. What’s a chewable toothbrush? Why did I feel alittle nervous pulling out a camera in a men’s toilet to take a picture of it? This entry was posted in Travel and tagged London on November 7, 2008 by Steve. These are some of the seller stalls at the Pyramids at Giza. It’s really coll haggling with the guys who run the stalls here. They are really nice guys, they just want all of your money. You can get a ton of stuff (junk) for $50 to take back to your family, neighbors and friends. You can also get real antiquities (not here) for Big Bucks. You can also go to jail if you get caught with real antiquities. Somehow, the Egyptian government had a change of heart about all of the antiquities that the western world was taking out of their country and putting in the museums in Paris, London, Rome and the U.S. Now they just sell tourist stuff. This entry was posted in Travel and tagged Egyptian, London, Pyramids on February 4, 2008 by Steve. One of the guys who walked up Mt. Sinai with me. Chris was a life-saver. 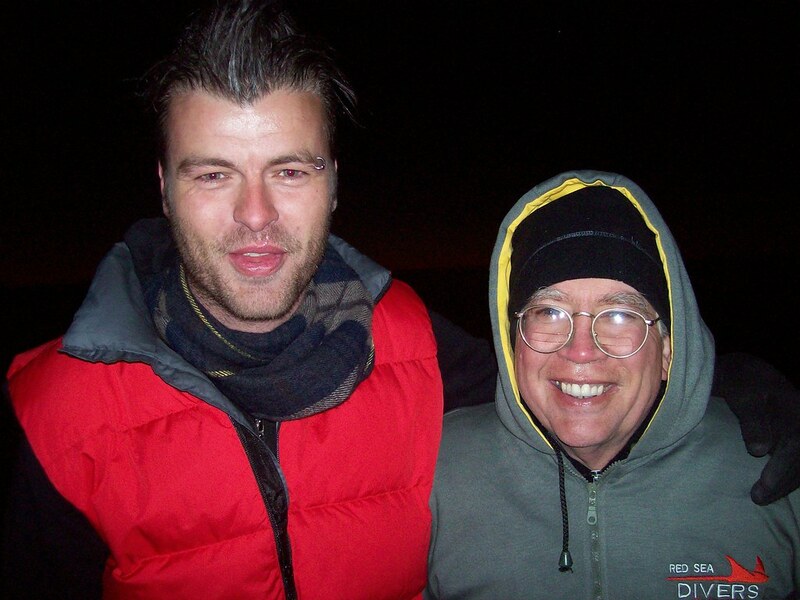 He kep on telling "Just another few miles" as he walked with me at the rear of the group walking up the mountain. I believe he was an Aussie or a Kiwi who had just finished his graduate studies and was going to London for a job. I think he said it was going to take him 6 months to get there. Long walk. 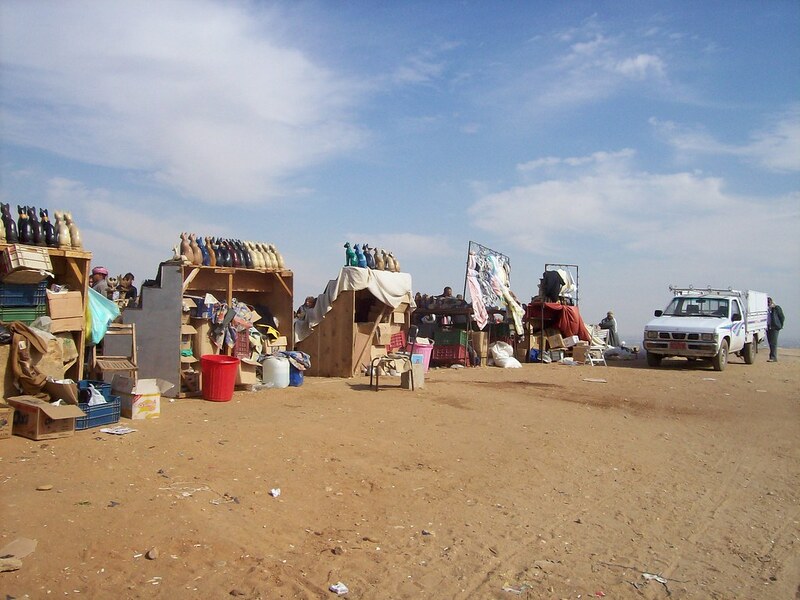 This entry was posted in Travel and tagged London, Sinai on January 28, 2008 by Steve.